True love has lasted in your lifetime and you want nothing more than to recommit yourself to the love of you life. That is why you have a Loveologist of your very own! Rev. Dr. Byrd lives to celebrate love and loves to ensure that your day is full of celebrating the joy, love and bliss you've worked for and created in your own love life. A Vow Renewal Ceremony isn't a legal ceremony, yet it is a sentimental, romantic and deeply symbolic act of your undying love to one another. If you are considering or have chosen to renew your vows, please contact us today! ​We'd be honored to be a part of your amazing love story! Specializing in your speciality wedding! Would you like a traditional and lovely wedding, possibly on the beach? A grand sized event or an intimate affair with a select few? Do you prefer a romantic and inviting evening wedding under the sparkling stars? Maybe your style is a themed wedding of Pirates, Mermaids, Dr. Who, Princess Leia and your family pets? Rev. Dr. Byrd would be honored to make your dream come true! ​No matter the occasion, you have an officiate. From choosing the vows that work for you to setting the tone for the atmosphere you want your wedding to have, you have an officiate here for you. Everyone knows your boat is your floating escape of bliss. Rev. Dr. Byrd can commence the ceremony to christen your boat! The blessing of your ceremonial ship launching into the water is a freeing and rewarding time in any yachties life. If you are setting sails soon, no matter your choice of ceremony, your personal clergy provider can provide a proper ceremony before your voyage. 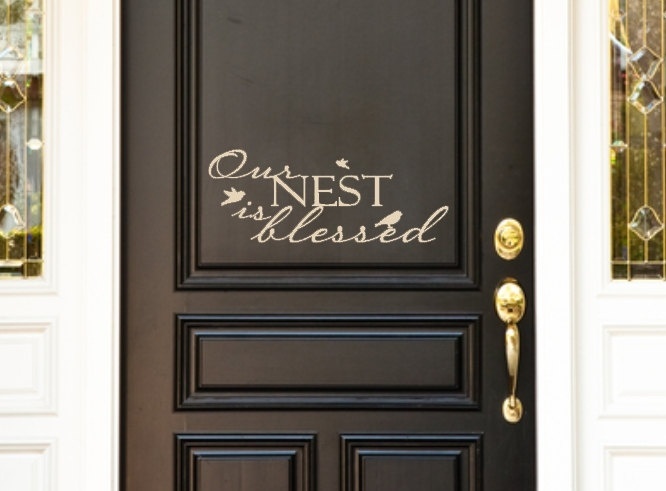 Wanting your home to be properly blessed? House blessings are done by an ordained minister with experience in house blessing prayers and practices. No matter the beauty of your ceremony, Rev. Dr. ReBecca Byrd is honored to ordain and bless your special day. Call her today to schedule an appointment to discuss the ministerial needs in your life. A Native American Tradition with powerful cleansing results that clear negative energy, restore peace, harmony and balance within the space you choose to have smudged. Do you have a water system you drink from daily? Our top client service is providing Sage Ceremonies! This service is approved by the state of Florida and meets the requirements for obtaining your marriage license, saving $ 32.50 and earning lifelong marital skills. You also receive a FREE Marital Mentorship Session! Research and studies support findings that when you complete a premarital education program, you improve your chances of enjoying a happy, healthy marriage and it also reduces the risk of divorce. Better communication, even up to 5 years later. Improved ability to resolve conflict. Greater understanding about you and your partner’s expectations about marriage. Enhanced communication about your emotional, physical, and sexual needs and preferences. *This cost of $ 15.00 includes all state required materials, course access, the signed authorized form upon completion and 1 FREE Martial Mentorship Session. Ships, Boats, all vessels, Name Change, Adoptions, etc. also Boats, Offices, New Buildings, etc. The Rev. Dr. Byrd’s fees include the location of your choice. This allows you the luxury of choosing your venue at any place you’d like. You may enjoy a wedding on your boat, or a ceremony in a cemetery. Is there a landmark that means the world to you two, even if it’s a cave, a zoo or your living room? Would you like it in your garden, on your rooftop or even in an airplane? No matter a carnival, a festival, a tree house or library, your venue is your choice. Rev. Dr. Byrd has married a couple having breakfast in bed over coffee and donuts! ​If you met your spouse at school and think of tying the knot on the sports field or met in the mall over shopping and smiles, and wish to tie the knot in the mall, Much Love Living can help make it happen! From art galleries, to tattoo shops or 5 feet of wedding dress train to a bikini on the beach, your dream is our indulgence! The 3 Options given at time of consultation are in 'Christian' format with a 'Simple Ceremony' in several religions, as well as a Vow Renewal option also attached. *Payments are due before services are rendered. *Upon booking a ceremony, a $50.00 nonrefundable deposit is due. This payment is applied to your total cost unless you cancel your ceremony. *All services with the exception of the Premarital Course and Classic Ceremony are $ 35.00 per hour. *The Premarital Course is $ 25.00 & includes 1 FREE Marital Mentorship Session, no expiration date. *All services include travel cost with the exception of the Premarital Course. *For long-distance travel or extended days (e.g., a weekend out of town to officiate) are at a 'daily discount' rate. *Daily rate is $100.00 (One hundred dollars and zero cents) in addition to daily meal allowance of $20 (Twenty dollars and zero cents), and provided travel (including lodging, and airfare if necessary) to be paid for by client. *Emails, texts and calls may be subject to holiday times and the 24 hour response time.